Heat the oil in a large pot over medium heat. Stir in onion, celery, garlic, ginger, and sugar. Cook 5 minutes, until onion is tender. Season with salt, turmeric, allspice, and nutmeg. Mix in potatoes and zucchini, and pour in the vegetable stock. Bring to a boil, reduce heat to low, and simmer 10 minutes, or until potatoes are tender. Remove soup from heat, season with cayenne pepper, and stir in spinach. Using a hand blender, blend soup until smooth. Garnish with red bell pepper to serve. 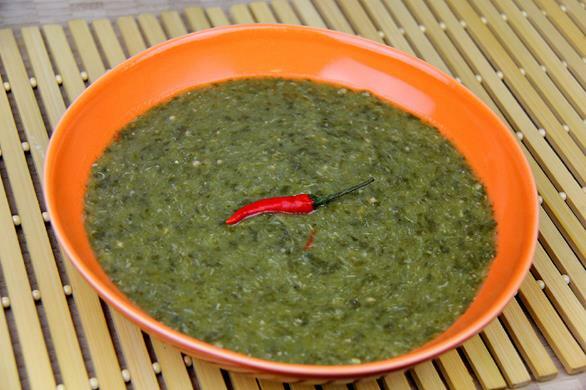 No comments for: "Jamaican Spinach Soup Recipe"